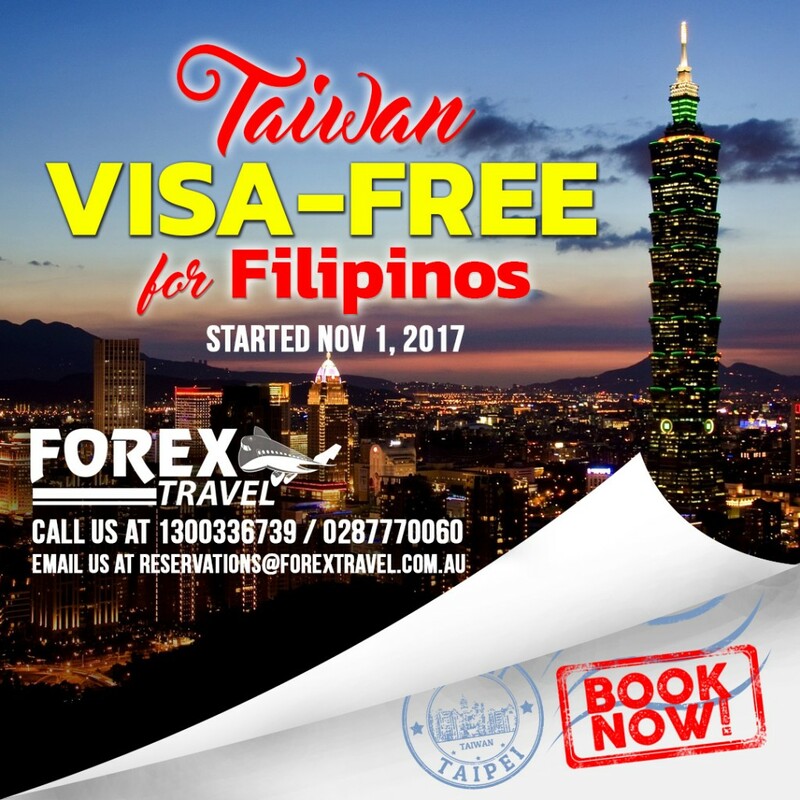 Guaranteed NO VISA required for Filipinos Traveller for 14 days and Australian passport holders for 90 days! Visit taiwan wander its busy shopping streets, try its mouth-watering delicacies, savor its rich culture, and take a selfie at one of the tallest buildings in the World, the Taipei 101. We guarantee you the best rates for Flights, Hotels and Tours.